Which automaker has confirmed a continuous supply of lithium till 2029? Who has recently revealed an electric rival to the Tesla Model Y? Who is the Indian Tier 1 supplier which is readying to supply EV battery packs for four-wheelers? Which OEM is pitching its upcoming SUV as the 'Internet Car? Which global automaker is game to offer nearly 24,000 patents free to its rivals, or who's the boss of a British luxury carmaker who believes many existing luxury brands will have to form alliances, merge with or sell to rivals in order to survive? These were some of the many news-making events in the first week of April. Volkswagen Group Research is testing automated vehicles in urban traffic in Hamburg, the first time that the carmaker has begun to test automated driving to Level 4 at real driving conditions in a major German city. 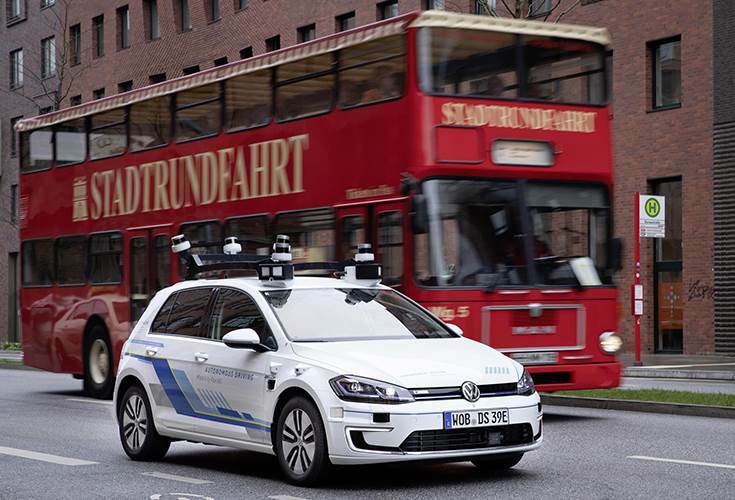 From now, a fleet of five e-Golf cars, equipped with laser scanners, cameras, ultrasonic sensors and radars, will drive on a three-kilometre section of the digital test bed for automated and connected driving in Hamburg. The results of the test drives, which will be continuously evaluated taking full account of all data protection rules, will be incorporated in the Group’s numerous research projects on automated driving, and will test customer-centric services and optimize individual transport. Meanwhile, in a major fillip to its electrification programme, the Volkswagen Group and China's Ganfeng Lithium Co, the world’s leading lithium compounds and metal manufacturer, have signed an MoU on long-term lithium supplies for battery cells. Ganfeng will supply lithium to the Volkswagen Group and its suppliers for the next 10 years. These supplies are of utmost significance to the German camaker because over the next decade it will be launching over 70 new pure electric vehicles. This also means that approximately a quarter of the vehicles it delivers in 2025 will be powered by electricity. American EV maker Fisker previewed an electric SUV to rival the recently launched Tesla Model Y. A new preview image shows that the Tesla Model Y rival will ride high and feature modern, utilitarian styling. Flared arches hint at the EV's performance potential, while narrow headlights and chrome detailing are a nod to the brand's 2018 Emotion concept. Like the Model Y, the as-yet-unnamed Fisker will be priced from less than $40,000 (£30,200) in the US. It features what the firm calls “captivating design touches that have been traditionally reserved for supercars in the past”. Automobili Pininfarina’s all-electric 1,900hp Battista hypercar has arrived in London. 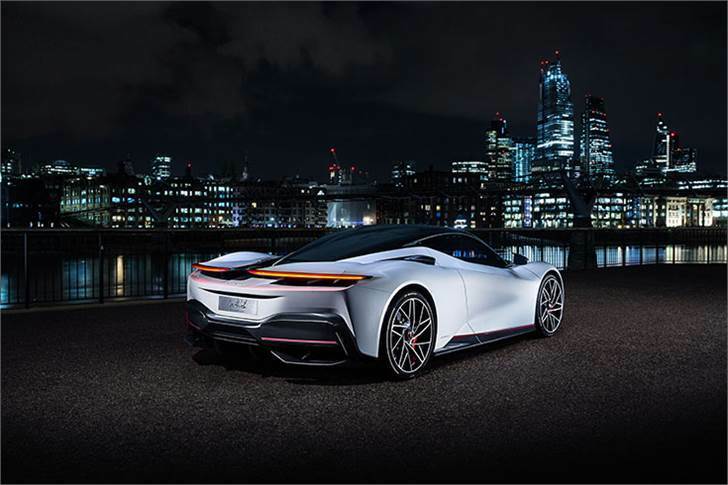 The stunning eco-friendly hypercar makes its UK debut as the city launches its latest battle against pollution through its Ultra Low Emissions Zone (ULEZ). The most powerful car to be designed and built in Italy when it goes into production next year will offer future free and unrestricted access to central London. It looks like luxury vehicle sales in India this year will see improved traction. 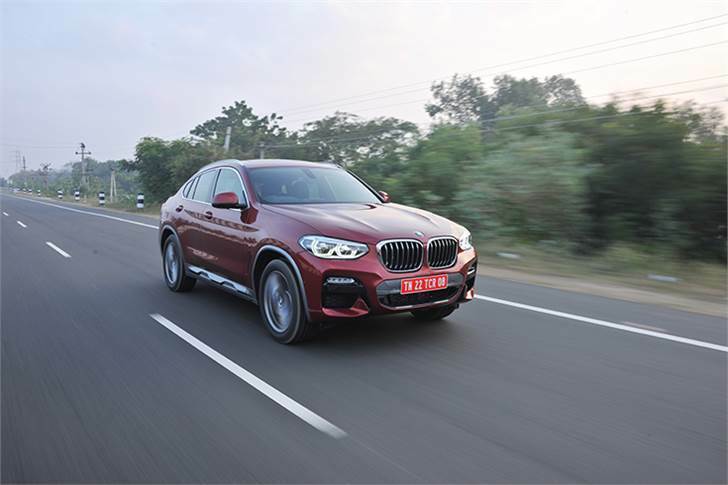 BMW Group India has reported its highest-ever first quarter sales (January-March 2019). All three brands – BMW, Mini and BMW Motorrad – are on a strong growth track from the start of the year. Full details here. Volvo India too has reported a smart uptick in sales with deliveries of 2,687 units in FY2019 (April 2018-March 2019), registering year-on-year growth of 25 percent. Volvo India said that growth has been driven by sustained demand for the XC40 SUV. What has also helped is the ramp-up in dealerships across the country, enabling the carmaker to reach a wider audience. Aston Martin boss Dr Andy Palmer has issued a warning, saying the investment needed to develop connected and autonomous vehicles will likely lead to mass consolidation of car companies globally. However, he also believes that the six globally recognised luxury car makers today -- including Aston and with Lagonda set to join in 2022 when it launches an electric SUV -- will thrive despite the challenges. Speaking at the Society of Motor Manufacturers and Traders’ (SMMT) Connected conference, Dr Palmer said he believes many existing brands will have to form alliances, merge with or sell to rivals in order to survive. 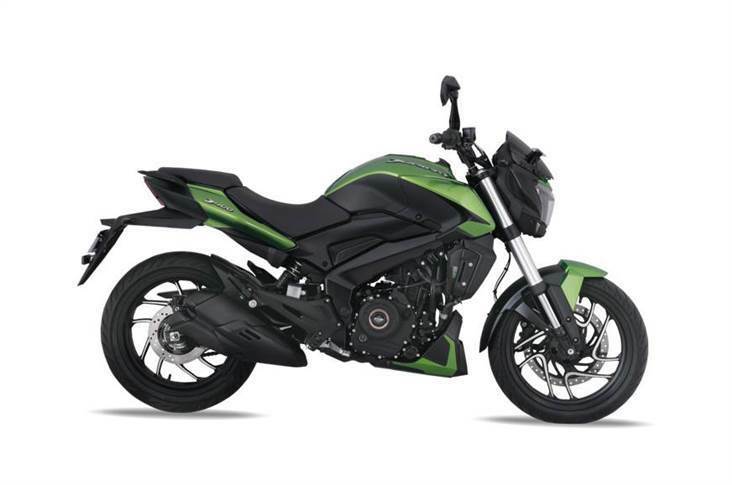 Bajaj Auto, the motorcycle maker which is seeing accelerated growth, launched the 2019 Dominar 400 at Rs 173,870 (ex-showroom, Delhi). The new iteration is the most substantial update the Dominar 400 has received since its launch in 2017. Tata AutoComp System signed a joint venture with Chinese company Guoxuan Hi-Tech to design, engineer, manufacture and supply battery packs for the Indian four-wheeler market. The JV company has started a prototype manufacturing operation in Pune. Tata AutoComp’s offerings to the emerging EV segment now include battery pack, battery cooling system, battery management system, radiator and DC chargers. 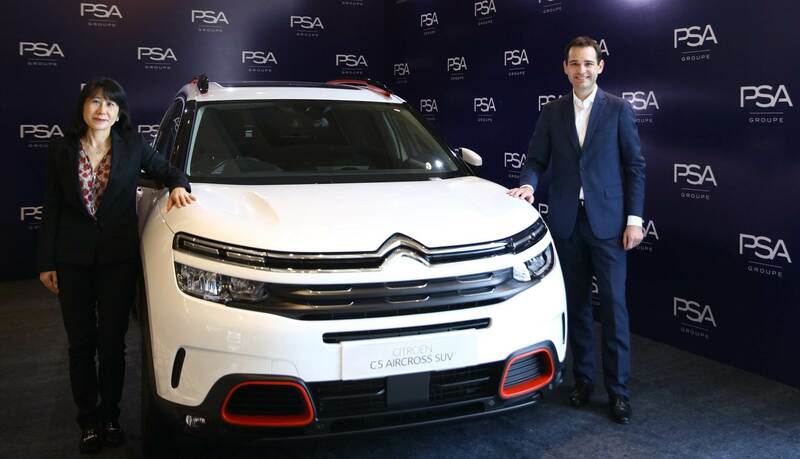 The big news of the first week of April was France's PSA Group, through the Citroen brand, officially announcing its entry into the India market. The French carmaker, which is targeting 2 percent of the Indian PV market by 2024, revealed thee C5 Aircross SUV in Chennai. The C5 Aircross, which is based on Groupe PSA’s EMP2 platform, will be the company’s first launch in India as a BS VI-compliant product and will go on sale before the end of 2020, with annual production capacity of 100,000 units from the Thiruvallur plant in Tamil Nadu in Phase 1. Exports of made-in-India Citroens will play a big role for the PSA Group to achieve economies of scale to justify localisation of over 90 percent from the start of production in India. 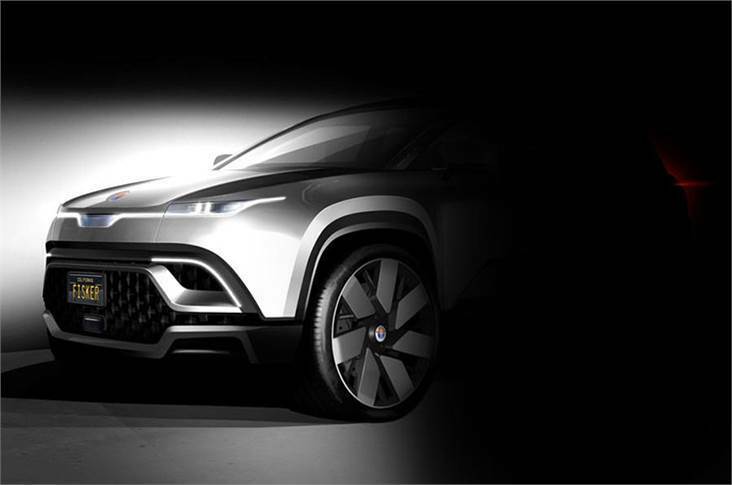 This will involve a very high 98 percent localisation for the vehicle and 90 percent for the C5 Aircross engine. PSA also held an India Suppliers Summit which drew over 500 automotive component vendors, both Tier 1 and Tier 2 suppliers. It is learnt that PSA has already chosen 150 Indian suppliers. For the Indian supplier fraternity, business from the PSA Group, which is implementing its Push to Pass strategy to increase its sales outside Europe by 50 percent, presents a huge opportunity. L-R: Ms Michelle Wen, EVP, Global Purchasing and Supplier Quality, Groupe PSA and Guillaume Ruffino, Vehicle Program Purchasing vice-president at Groupe PSA. Selected suppliers will have access to all of the PSA Group business opportunities worldwide, which totaled a humungous 42 billion euros (Rs 324,702 crore) in 2018 including 250 million euros (Rs 1,911 crore) worth of components from India in 2018. And, according to Michelle Wen, executive VP (Global Sourcing & Supplier Quality), Groupe PSA, it could touch a billion euros (Rs 7,644 crore) in the next five years or even earlier. 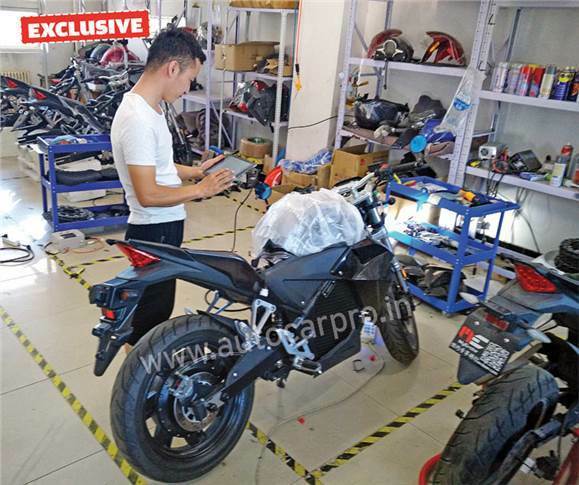 Like the scoop news on April 1, Autocar Professional revealed the first pictures and information about Evoke Motorcycles' final design of new 6061 electric power-cruiser. In a move that speaks volumes for its sustained focus on global environment consciousness, Toyota says it will grant royalty-free licenses on nearly 24,000 patents it holds (including some pending applications) for vehicle electrification-related technologies. Secondly, Toyota will provide fee-based technical support to other manufacturers developing and selling electrified vehicles when they use Toyota's motors, batteries, PCUs, control ECUs, and other vehicle electrification system technologies as part of their powertrain systems. The Volkswagen Group announced that it plans to merge its three Indian subsidiaries, Volkswagen India, Volkswagen Group Sales India and Skoda India to make more efficient use of the existing synergies in developing India as a growth market. The Volkswagen Group brands – Volkswagen, Skoda, Audi, Porsche and Lamborghini – will maintain their individual identities, dealer network and customer experience initiatives. The brands will work under the leadership of Gurpratap Boparai with a common strategy for the Indian market. 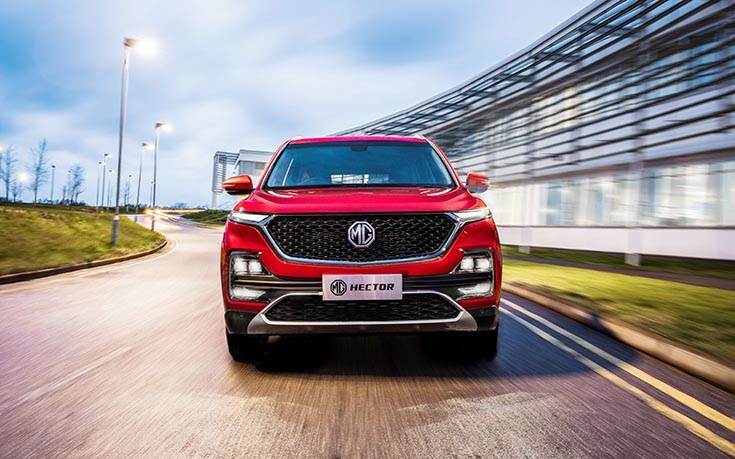 Meanwhile, MG Motor India is to start mass production at the Halol plant by April-end. The company revealed a plethora of digital and connectivity features on its upcoming Hector SUV, which the company is pitching as the 'Internet Car’. Jaguar Land Rover announced plans to launch its electrified products in India. In line with the carmaker's global commitment to introduce electrified options on its entire product portfolio by 2020, Jaguar Land Rover India proposes to offer multiple products, ranging from Hybrid Vehicles to Battery Electric Vehicles (BEV) over the next few years. 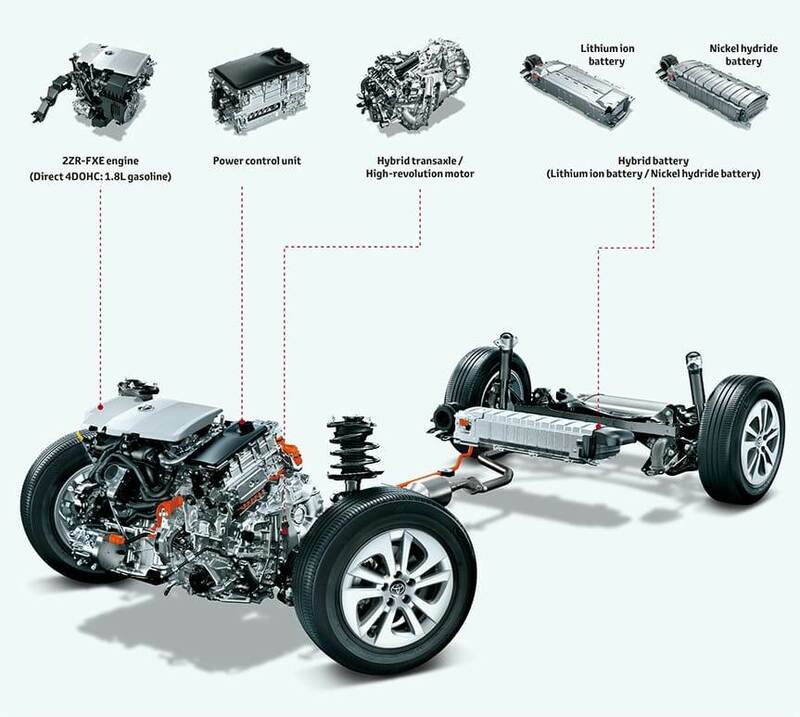 While Jaguar Land Rover India will introduce hybrid vehicles from the Land Rover product portfolio towards the end of 2019, the Jaguar I-Pace will make its India debut in the second half of 2020.
Cooper Standard completed the divestiture of its anti-vibration systems business to Continental. The transaction included facilities in Auburn, Ind., Mitchell, Ontario, Rennes, France, as well as AVS-related assets in Poland and China, and an equity interest in a joint venture in India, the Mumbai-based Sujan Cooper Standard (SCS), a joint venture between India’s Sujan Group and the US-based Cooper Standard. 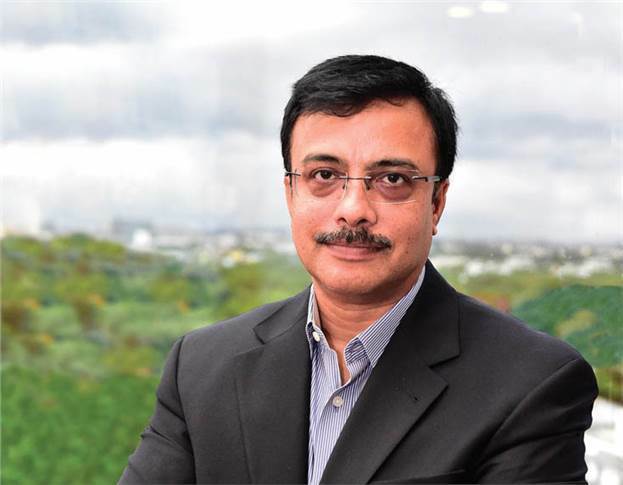 Just a few hours before midnight of April 1, Eicher Motors announced the appointment of Vinod Dasari as its Chief Executive Officer of Royal Enfield. Mr Dasari, who was former CEO and MD of Ashok Leyland and also Autocar Professional's Man of the Year 2016, takes over from Siddhartha Lal, who will continue as the managing director of Eicher Motors Ltd.
A few minutes after that announcement, Royal Enfield announced its planned capital expenditure of Rs 700 crore for FY2019-20 towards completion of the construction work of the Technology Centre, Phase-2 of the Vallam Vadagal plant in Tamil Nadu and development of new platforms and products. Also, in 2019-20, Royal Enfield is targeting production of 950,000 motorcycles. 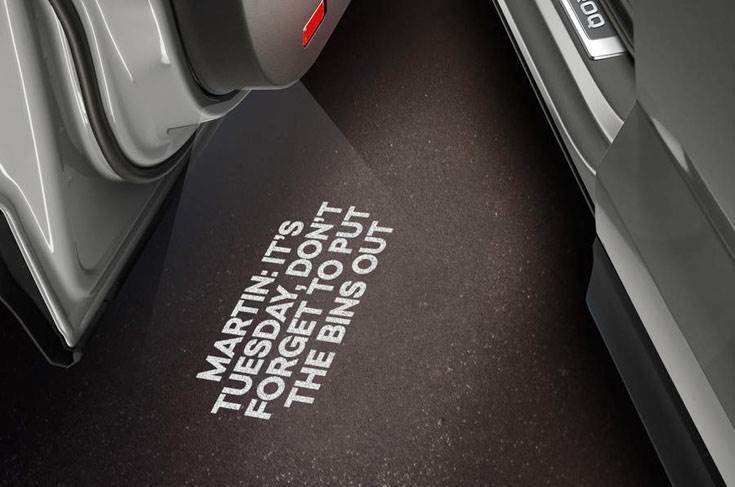 Skoda’s April Fools’ prank was a tongue-in-cheek parody of the overwhelming amount of personalisation options available with new cars. The month of April, of course, cannot be without its April Fools jokes. April 1 is when the car industry comes up with its weirdest and most 'out there' ideas it can. What better way for automotive PR teams to wind down from the madness than to attempt to wind us up? We brought you this year's best as well as those from 2018, 2017 and 2016!